This is a simple recipe I saw in Martha Stewart's Cocktail app (includes drinks and bar foods). 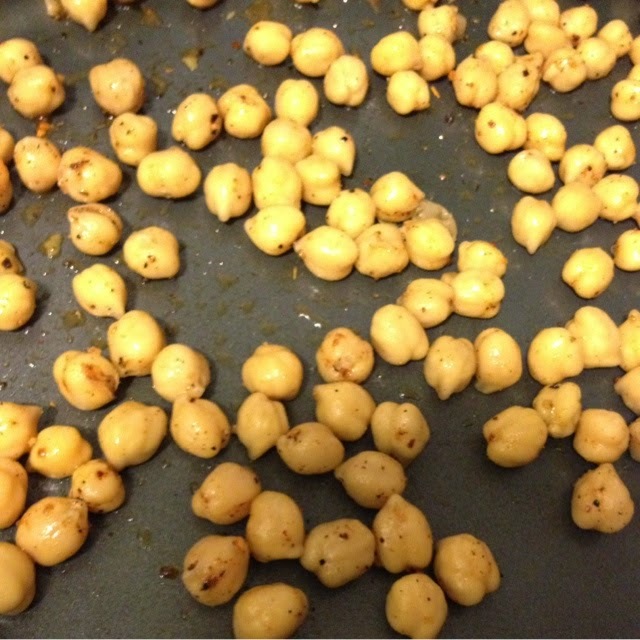 Drain one can of chickpeas. Add a bit of oil and spices/seasoning of choice. I used cumin,salt,pepper,chili pepper mix, and nutmeg. Recipe calls for coriander, ginger, and hot paprika. Bake for 30 minutes, shake chickpeas around from time to time. Let cool and eat! Spicy and crunchy (great for a party snack or beer pairing). 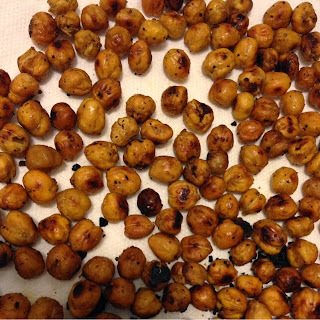 Next time I may try to use a paper towel to try off more of the moisture on the chickpeas. May also look into just keeping it simple with salt, pepper, and cumin.